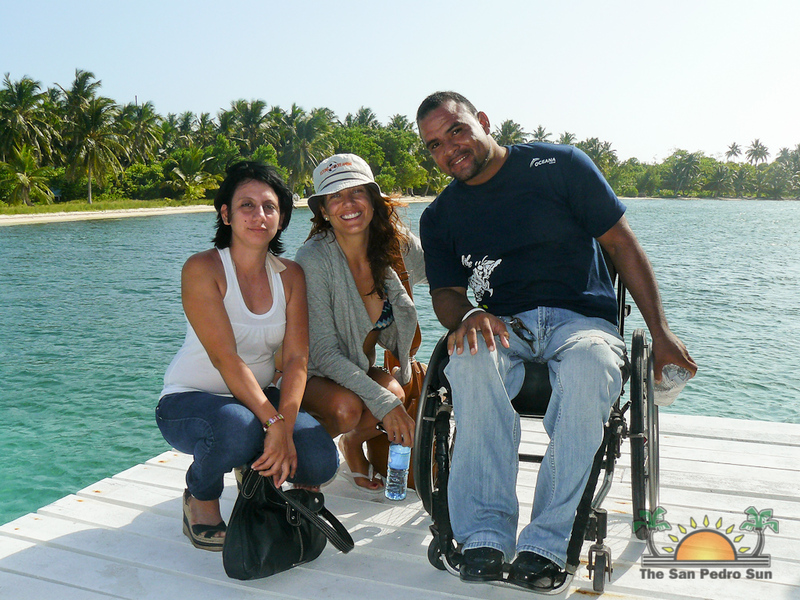 Actress and passionate Oceana supporter Kate Walsh was in Belize this past weekend to join Oceana in its efforts to promote global awareness. 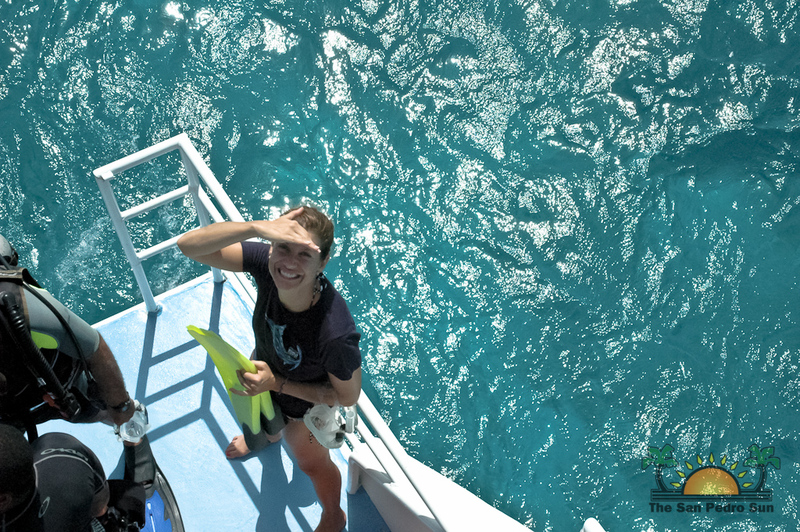 Walsh arrived on Friday, June 8th, World Oceans Day, to spread awareness about the marine biodiversity in Belize, especially its most stunning ecologically important places: Hol Chan Marine Reserve, Lighthouse Reef Atoll and the Great Blue Hole. Walsh had the opportunity to enjoy the underwater world at Hol Chan Marine Reserve and Shark Ray Alley on a snorkel expedition. Photographing and filming her underwater was renowned Belizean photographer Tony Rath. At a cocktail reception held at the Blue Water Grill on Saturday June 9th Walsh commented to those in attendance how amazing her experience was. 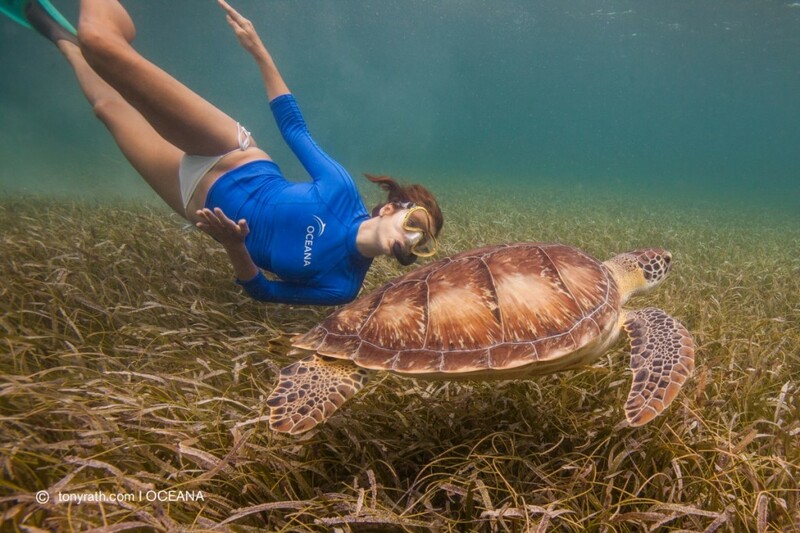 While snorkeling these renowned areas the actress enjoyed an up close and personal experience with some of her most beloved underwater creatures, including her favorite, the sea turtle. In 2009, Walsh filmed a Public Service Announcemet for Oceana entitled “Getting Sea Turtles off the Hook”, raising awareness of the threats sea turtles face from destructive fishing gear. In welcoming Walsh to the island and to the event, Deputy Mayor Severo Guerrero quoted an oft-uttered phrase, “We do not inherit the Earth from our ancestors: we borrow it from our children.” He joined everyone in attendance in thanking Walsh for her support of Oceana’s fight to protect our precious marine system for the future generations of Belize. On Sunday, June 10th, Kate Walsh’s campaign continued with a visit to Half Moon Caye and the Great Blue Hole, two monuments that form part of Belize’s World Heritage Site. 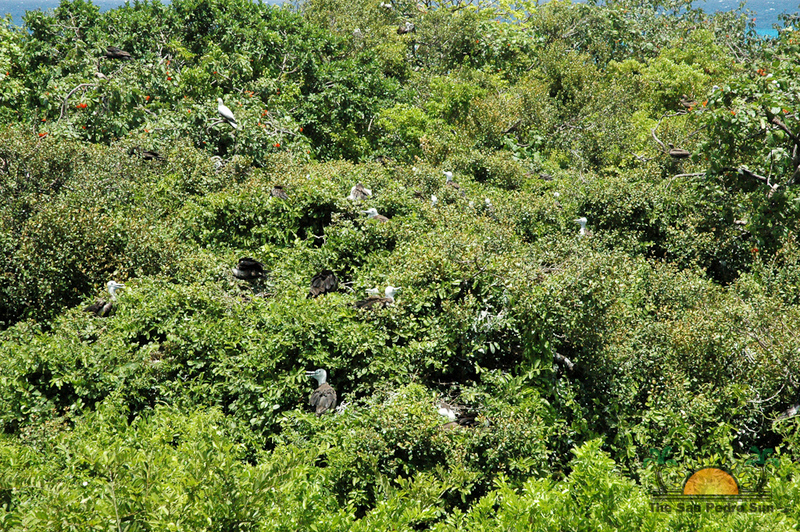 21 members of the media from across the country joined her on the island, where Shane Young, Marine Protected Areas Manager of the Belize Audubon Society (BAS), shared with them the cultural and environmental importance of these monuments and other Belizean marine sites. Several of the media members were then able to join Walsh in snorkeling the breathtaking Blue Hole. 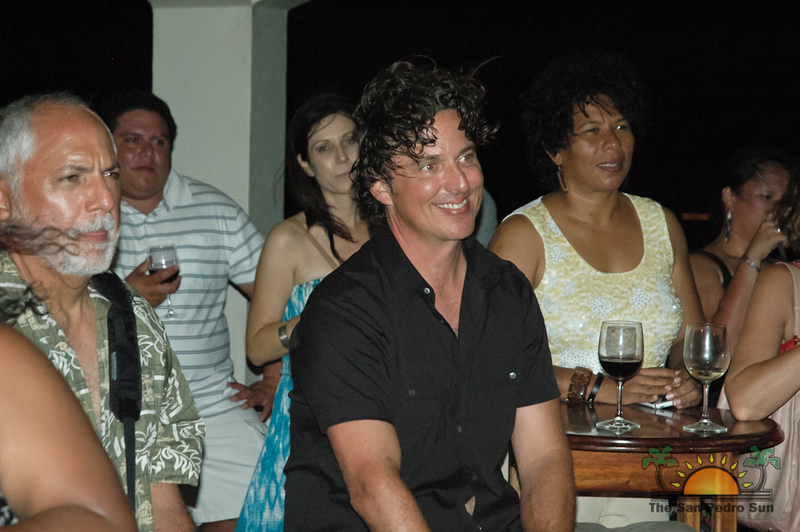 Once back on Half Moon Caye, Walsh addressed questions posed to her by the journalists, several of whom were at the location for the first time as well. Walsh Kate once again articulated her thoughts on her visit, thanking the country of Belize and its government for being so welcoming and allowing her to experience such a magnificent part of the country. 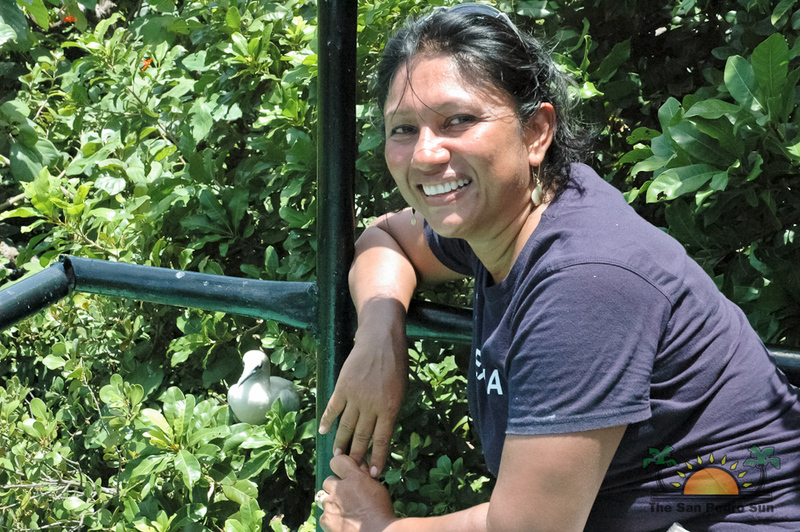 She urged the Government of Belize to rethink their status regarding offshore oil drilling, stating that there are other means of extracting oil, in other areas, but not in a place like the oceans, which is a food source for so many people throughout the world. She encouraged further research into more sustainable and renewable energy sources. 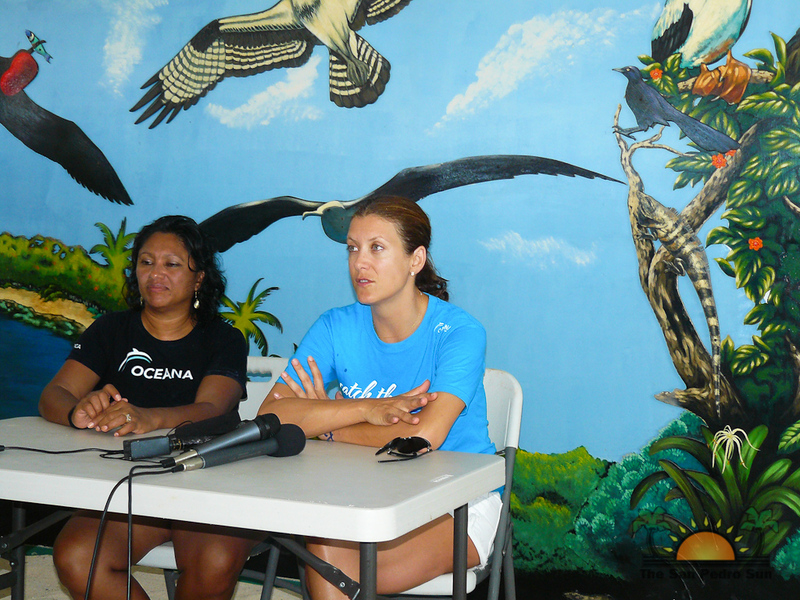 Thanks to Oceana and Kate Walsh for working hard to continue showcasing the worth of Belize's marine heritage.